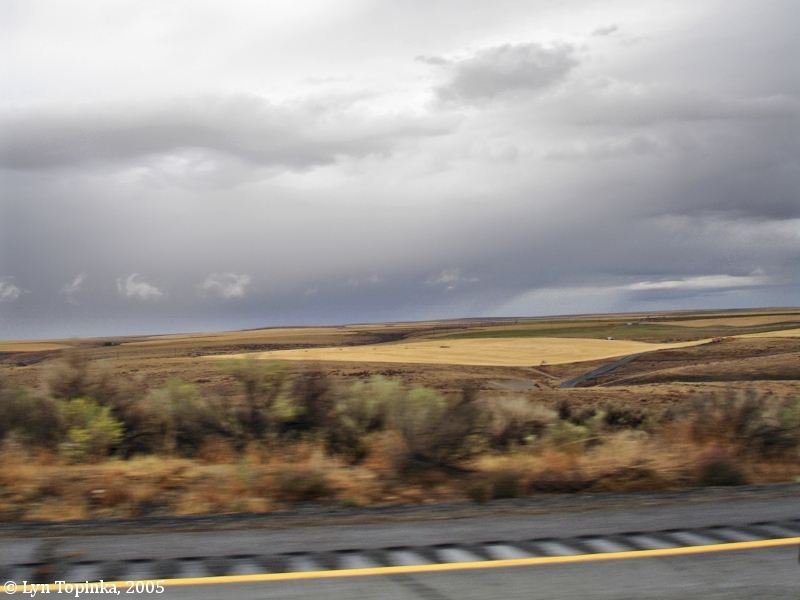 The Horse Heaven Hills is a large area of rolling hills on the west side of the Columbia River, between the Yakima River and the Wallula Gap. 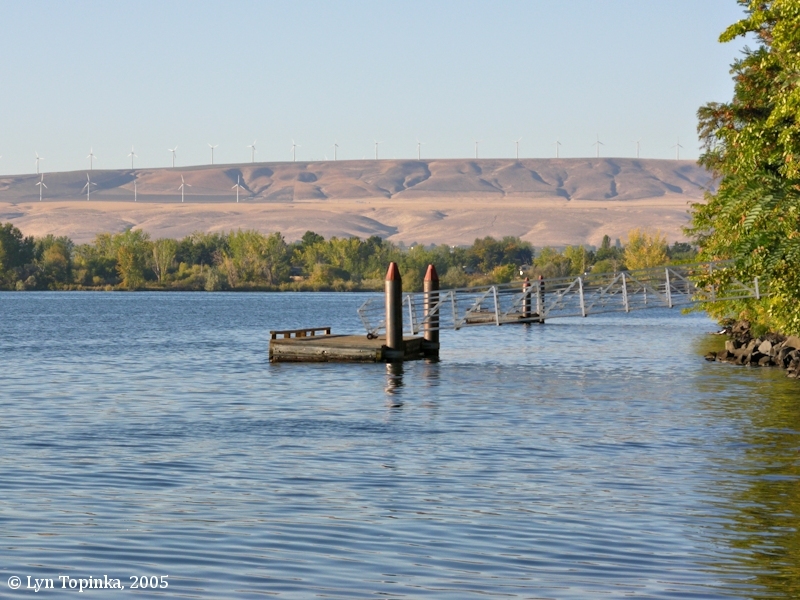 The hills provide a backdrop for the "Tri-Cities" of Richland, Pasco, and Kennewick. 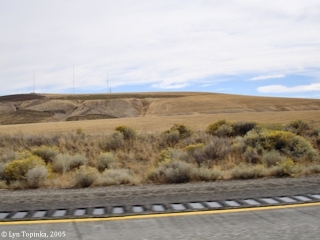 According to Hitchman in Place Names of Washington (1985), the Horse Heaven Hills were named in 1881 by James Kinney, a Yakima pioneer, "because the area offers excellent forage and compartive isolation". Large bands of wild horses once roamed the area. 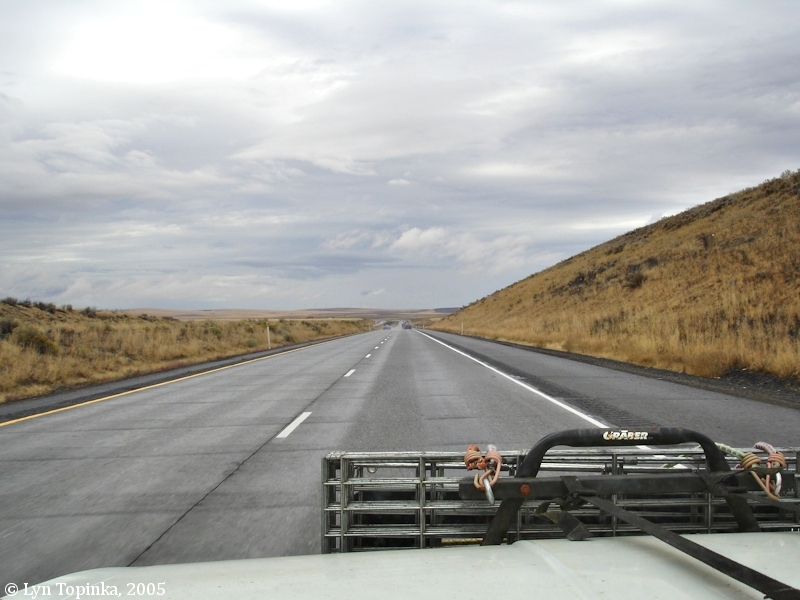 The "range of high Countrey" is today's Horse Heaven Hills and the "S W. range of mountains" is the Blue Mountains of Oregon and Idaho. 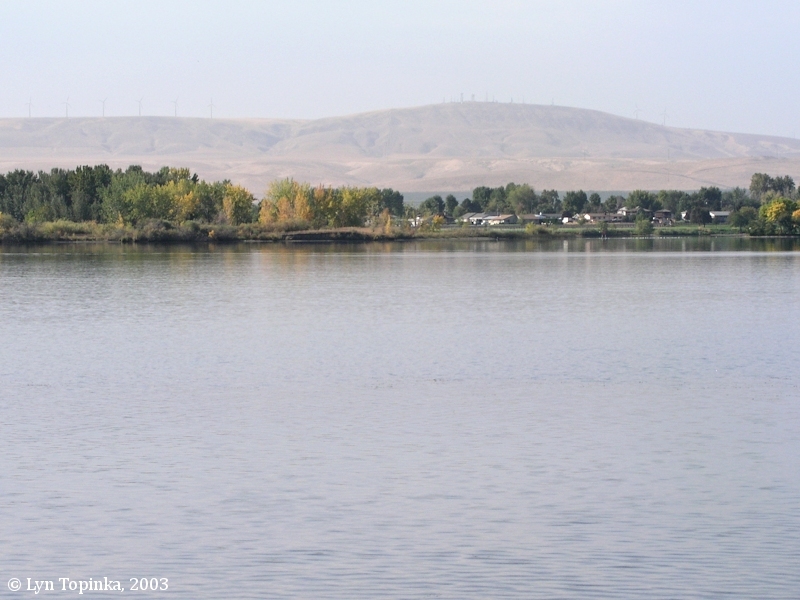 Lewis and Clark's camp of October 16 and 17, 1805, was at the junction of the Snake River and the Columbia River, today the location of Washington's Sacajawea State Park. Click image to enlarge Homes of Kennewick, Washington, and the Horse Heaven Hills. Looking across the Columbia River towards the Horse Heaven Hills. 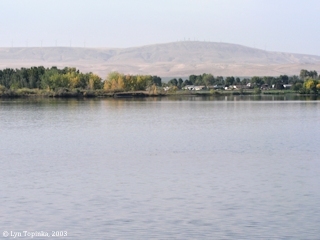 Image taken from Sacajawea State Park, Washington, September 29, 2003. 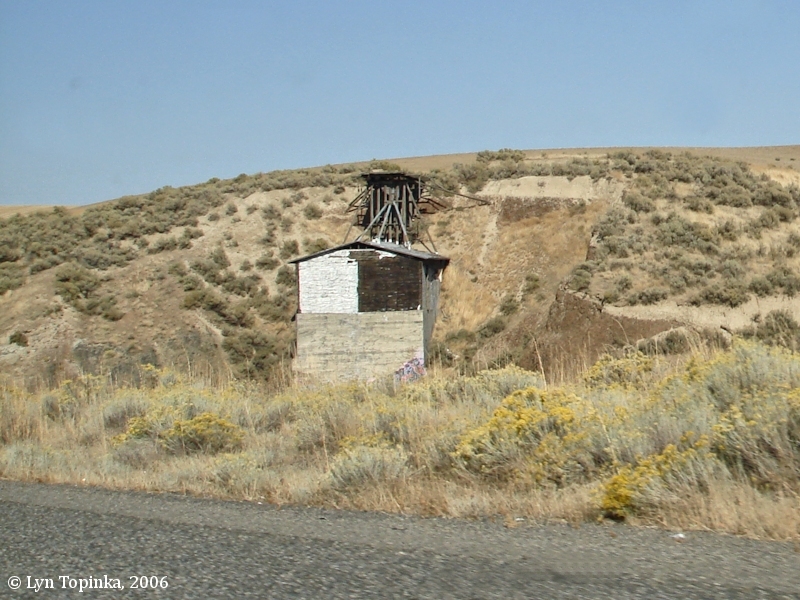 "Countrey on each side low, a rainge of hills, on the west imedeately in front on the opposit side of Columbia"
Click image to enlarge Old Grain Dumping Silo, Horse Heaven Hills, Washington. View from driving along Interstate 82/395. Yellow "Rabbitbush" (Chrysothamnus nauseosus) is in the foreground. 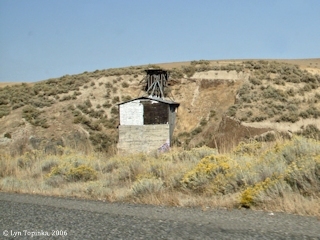 Image taken September 29, 2006. 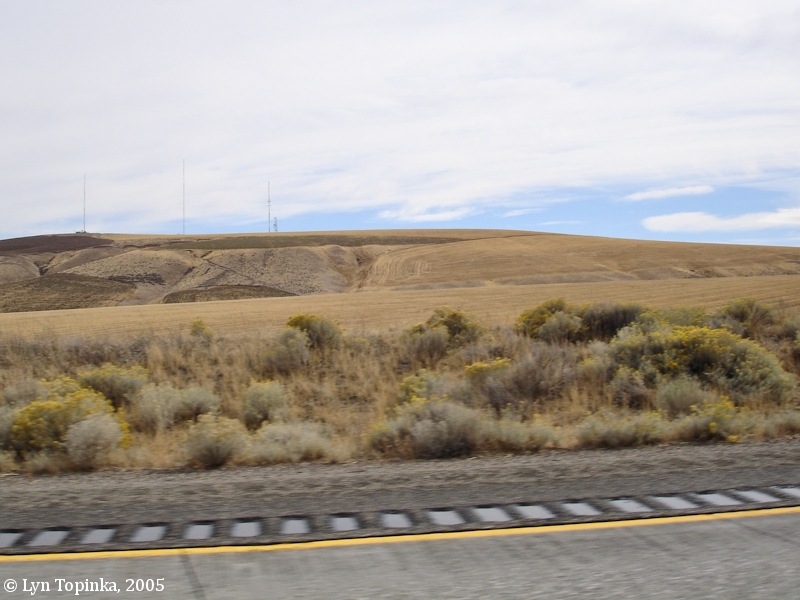 Fields, sagebrush and wind turbines. 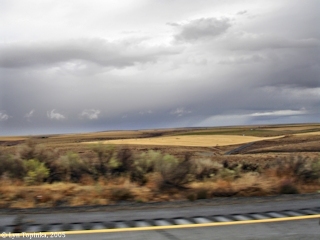 Click image to enlarge Horse Heaven Hills, Washington. 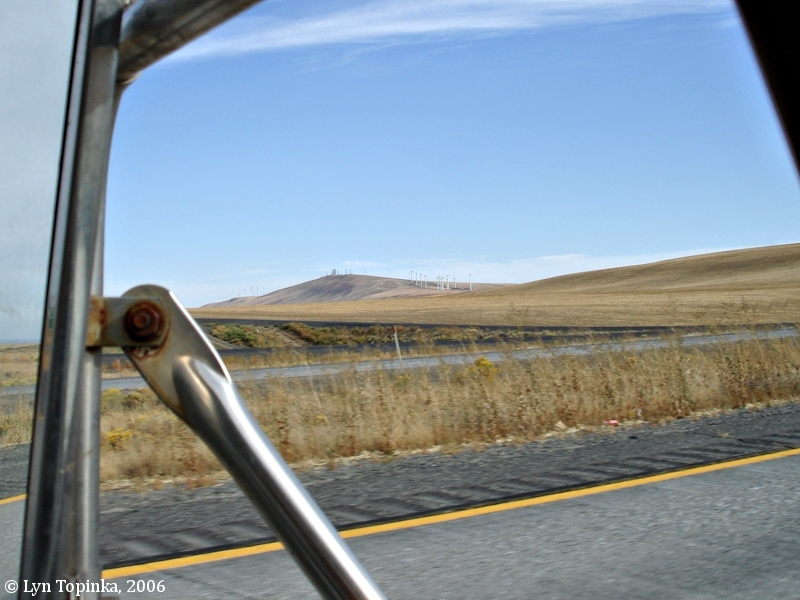 View from driving along Interstate 82/395. 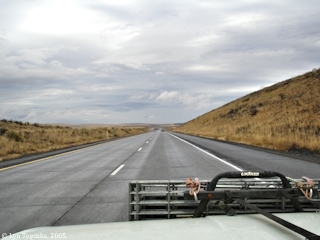 Image taken October 2, 2005. Click image to enlarge Clouds, Horse Heaven Hills, Washington. View from driving along Interstate 82/395. Image taken September 30, 2005. Click image to enlarge Summit, Horse Heaven Hills, Washington, looking north. View from driving along Interstate 82/395. Image taken September 30, 2005. Click image to enlarge Wind Turbines on Horse Heaven Hills, Washington. View from driving along Interstate 82/395. Image taken October 2, 2006. In every direction from the junction of those rivers [Snake River with the Columbia River] the Countrey is one Continued plain low and rises from the water gradually, except a range of high Countrey which runs from S. W & N E and is on the opposit Side about 2 miles distant from the Collumbia and keeping its derection S W [Horse Heaven Hills] untill it joins a S W. range of mountains [Blue Mountains].